The Rio Grande in Texas. (CN) – The U.S. Supreme Court said Tuesday that it will hear two cases in which neighboring states are fighting over water rights, one between Florida and Georgia and another pitting Texas against New Mexico and Colorado. Florida argues that it is entitled to an equitable apportionment of water from the Apalachicola-Chattahoochee-Flint River Basin, which covers western Georgia, eastern Alabama and the Florida Panhandle. The Sunshine State seeks an injunction requiring Georgia to allow an adequate flow of fresh water into the Panhandle’s Apalachicola region. The dispute dates back to 1990. According to the Associated Press, a special master appointed by the Supreme Court to oversee the case recommended that the justices side with Georgia, to which Florida has objected. 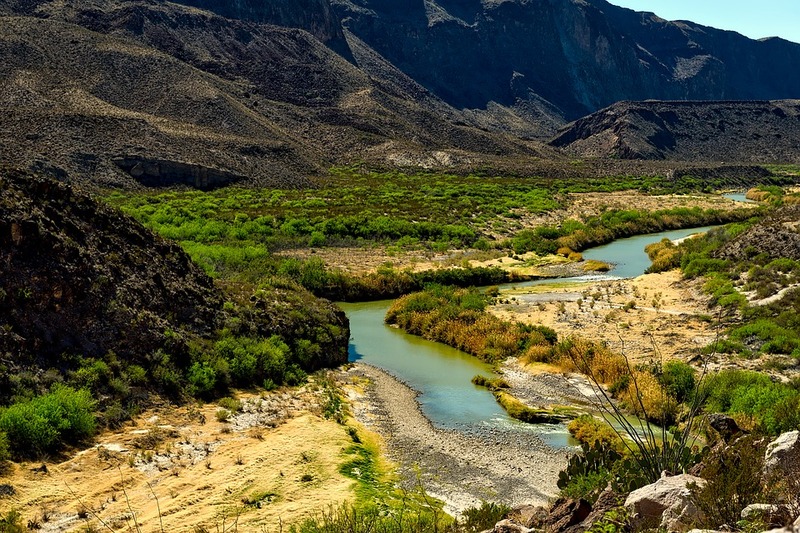 The nation’s high court also agreed to take on Texas’ lawsuit against New Mexico and Colorado over the nearly 80-year-old Rio Grande Compact. The Lone Star State claims New Mexico’s increasing use of water from the Elephant Butte Reservoir deprives it of water apportioned to it under the 1938 deal, which governs the distribution of Rio Grande water among Texas, New Mexico and Colorado. Dates for oral arguments have not been set in either case, both of which are original-jurisdiction cases, meaning the lawsuits were filed directly with the Supreme Court.